of the year, isn't it? As of now, the house is not decorated. We do not have a tree yet. I have not bought a single gift. We did take a Christmas card picture this past weekend, but the thought of actually putting a card together, ordering them and addressing and mailing them is a little overwhelming. Not to mention, the elf! I had no idea when "Mr. Elf" arrived five years ago that he would cause me so much anxiety. Every morning I wake up in a panic over whether or not we moved him! Thankfully, Scott is much more on top of that than I am. All that being said, I know it will come together, and it will be another great holiday season. 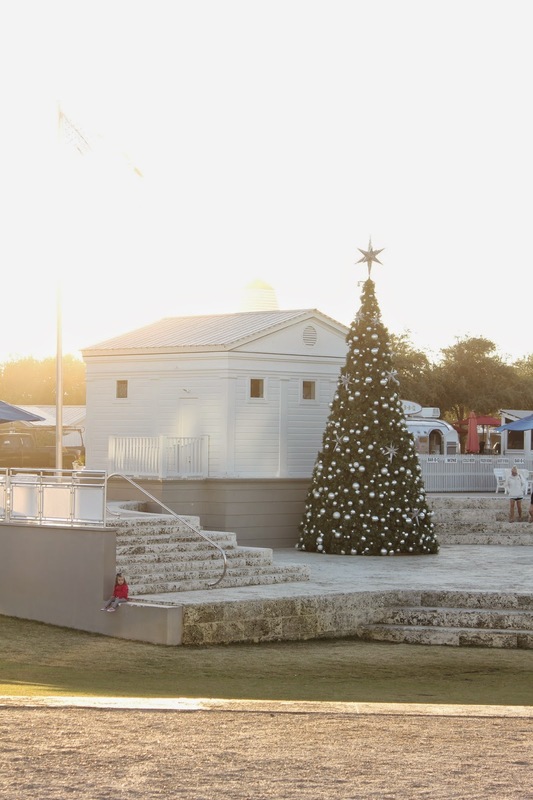 We kicked things off this past weekend in Seaside, FL, with two tree lightings (Rosemary Beach on Friday and Seaside on Saturday), a Christmas parade and a visit from Santa and Mrs. Claus. The town was full of people and so festive. It definitely put me in the Christmas spirit! The boys waiting for the Christmas parade. It's an old fashioned holiday! 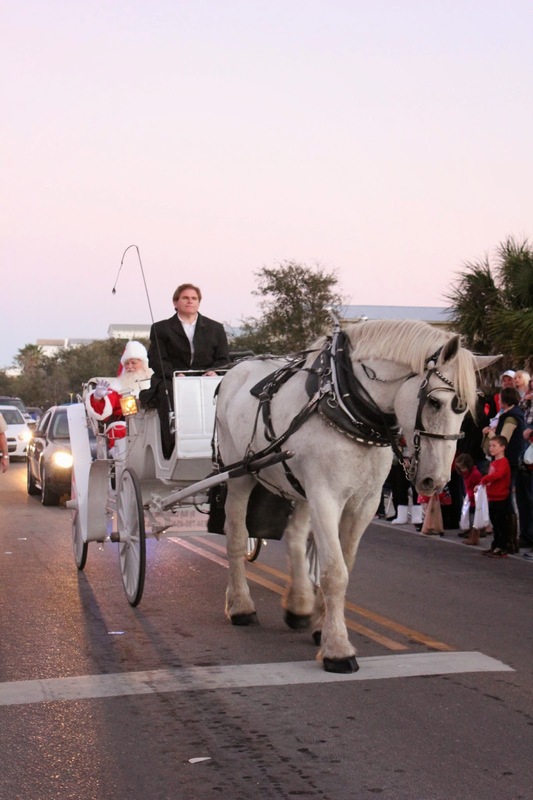 Santa and Mrs. Claus arriving by horse-drawn carriage. On their way to light the Seaside Christmas Tree. 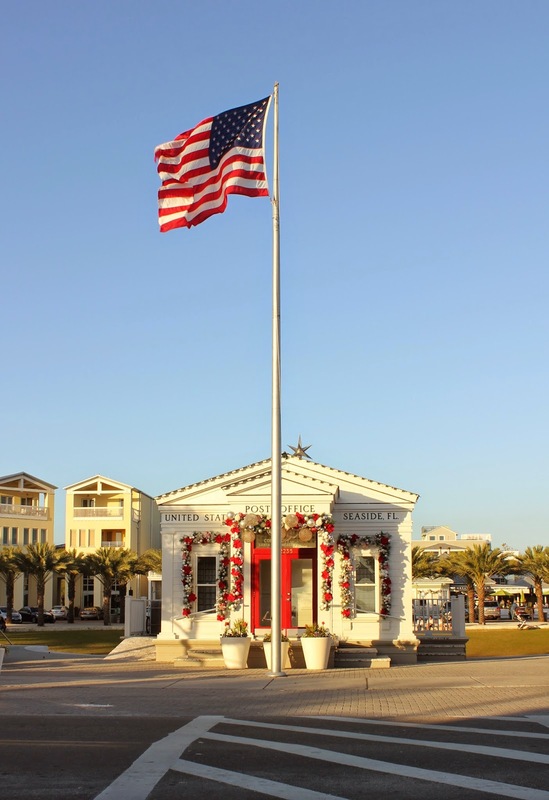 Seaside Post Office decorated for Christmas. I had to throw this one in, because it's so funny. According to Marian, she's "fashion." I love how seaside is decorated - so full of cheer!! Don't stress girl - everything will come together!! Thanks, Biana! I know it will, but thinking about the to-do list is overwhelming. Ugh! !